Esports, and other games : Rankings of South Africa's top female Tekken 7 players. Rankings of South Africa's top female Tekken 7 players. 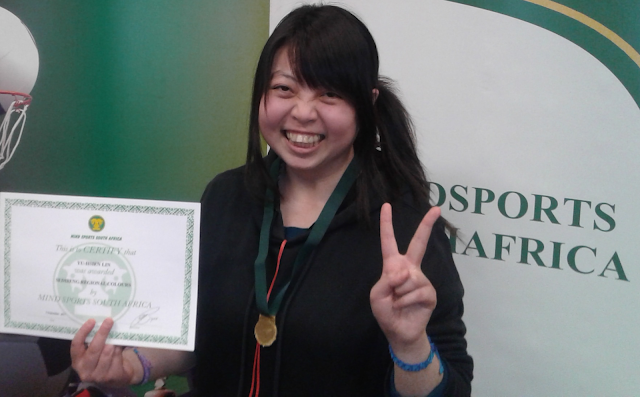 Yu-Hsien Lin (North West University - Vaal) is the top ranked female gamer in South Africa for the esports game of Tekken 7. Esports is a sport into which more-and-more females are being drawn. Mind Sports South Africa (MSSA) is aware of the potential of esports in terms of what it (esports) can offer all females. As such MSSA has been promoting female participation right from the start. At first, there was a body of gamers that resisted MSSA's moves, but reason has held sway in that they too see the obvious advantages of seeing greater female participation and now even hold such types of championships as if it were their idea. It should be noted that MSSA has sent female players overseas as part of the national team in 2010. It has been MSSA's privilege to also send female members across as part of the Protea Esports Team in 2012, 2013, 2014, 2015, 2016, and 2017. In fact, it should be noted that MSSA not only has more females in its national team than any other country in the world, but is also the only country in the world that has females as part of its national team at IESF's World Championships every single year since 2012. The current rankings to be used at MSSA's 15th Free State Provincial Championships take into account all the provincial championships played to date in 2018 such as the Gauteng, North West, Online and Mpumulanga Provincial Championships. MSSA's 15th Free State Provincial Championships shall be held at Fakkel School of Skills, 20 Jan Smuts Ave., Sasolburg on 24 June 2018. Such championships count towards qualifying for MSSA's 2019 National Team Trials. Jeremy Seremak hangs onto his Tekken 7 ranking. MSSA shall appoint a new Esports Representative. HTS Sasolburg snatches the number 1 spot. Sasolburg achieves another first in 2018. Do online competitions mean anything? Requirements for receiving MSSA colours. Results of the Azerbaijan National Championships. Southern5 takes a commanding lead. Age restrictions at IESF's World Championships.